On Tuesday September 14th Democrats will head to the polls for primary day. This year's biggest primary is the five way race for Attorney General. Columbia County Democratic Committee and the Hudson City Democratic Committee. But that was only the start of the endorsements! Thanks to him, New York now has laws that will make it easier to prosecute fraud in government contracts and end the cynical practice of prison gerrymandering. Other efforts — promoting transparency in Albany and curbing the power of dirty money — have been blocked by political leaders eager to protect the sleazy status quo. His willingness to keep pushing is crucial. But he also scored major victories with union endorsements and the ground operations that they bring with them. He has received the endorsements of United Federation of Teachers, 1199, SEIU and 32BJ, the Hotel Trades Council (HTC), the United Food and Commercial Workers and even the Freelancers Union. With the endorsements of HTC, 1199, and 32BJ, Schneiderman has assembled the support of the three most highly coveted field operations in New York. In addition to the New York Times endorsement, he has won the Albany Times-Union endorsement, and even in The Nation. He has been endorsed by scores of elected officials and other public leaders. He also won the endorsement of the good government group, Citizens Union and is also supported by the largest LGBT rights group in New York State, the Empire State Pride Agenda. 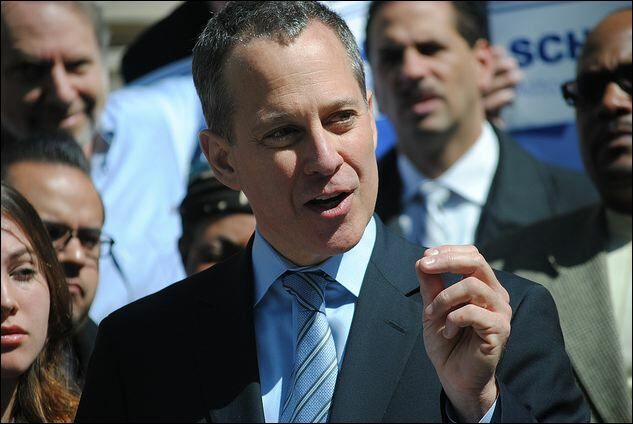 View this campaign ad to see the diversity and strength of the coalition supporting Eric Schneiderman. that they get to the polls. New York's next Attorney General.